As I’m originally from Gibraltar I went home during Christmas break to see my family. 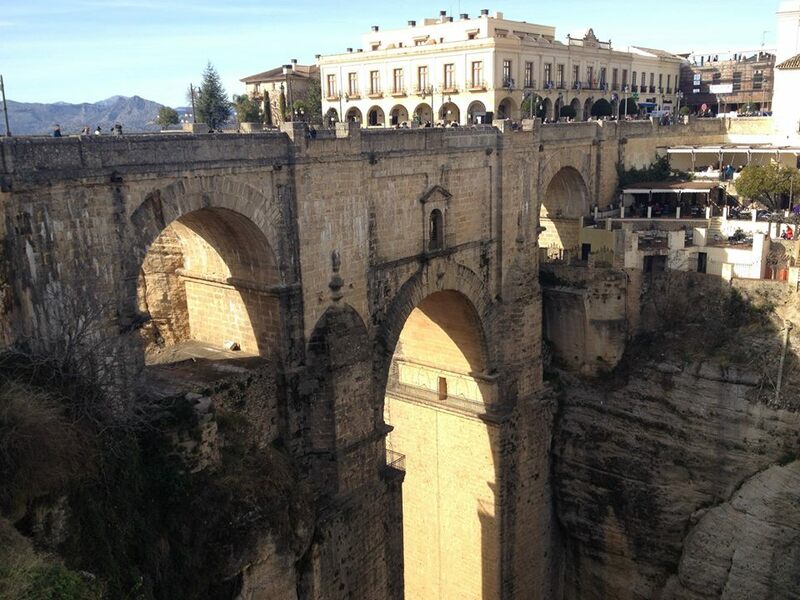 My friends and I decided to take a day trip to the famous Spanish city of Ronda, in the province of Malaga. We crossed into Spain and took the train from San Roque on a very frosty Saturday morning for about €20 return trip. 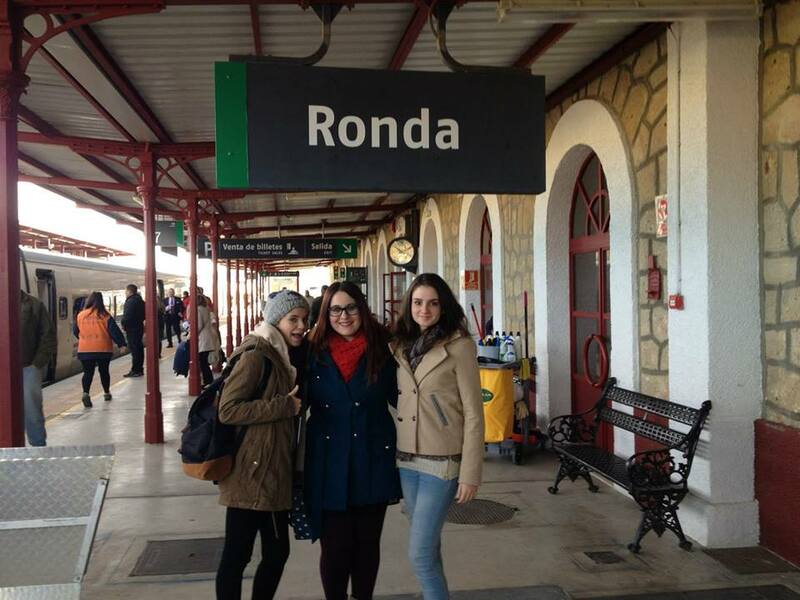 Here’s us arriving at Ronda train station. After arriving we soon started exploring what Ronda had to offer. Ronda is one of Spain’s oldest towns which was established in the 9th century. Its existing old town, La Ciudad (theCity), dates back to Islamic times, when it was an important cultural centre filled with mosques and palaces. Its wealth as a trading depot made it an attractive prospect for bandits and profiteers and the town has a colourful and romantic past in Spanish folklore. While strolling Ronda’s streets not only were we struck by beauty but information about its history surrounded us. We learnt a lot about its history and how American artists such as Ernest Hemingway and Orson Welles would spend summers in Ronda. Both would write about Ronda’s beauty and famous bull-fighting traditions. 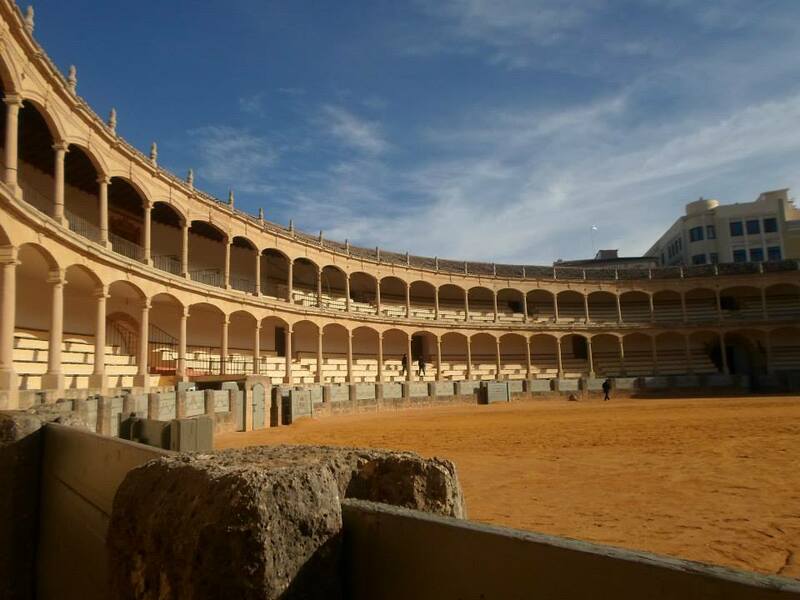 One of Ronda’s main tourist attractions is its bullring, Plaza de Toros, which hosts a museum explaining how legendary Rondeño bullfighter Pedro Romero broke away from the prevailing Jerez ‘school’ of horseback bullfighting in the 18th century to found a new style of bullfighting. 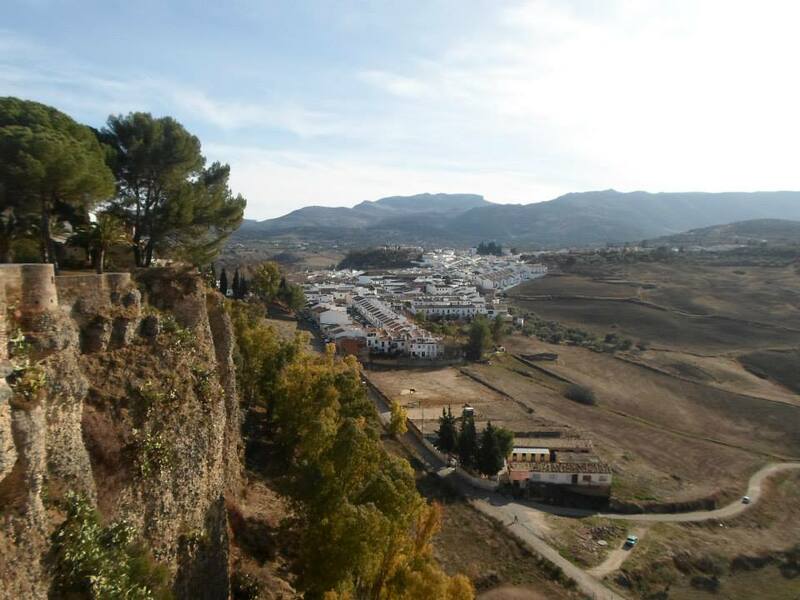 Ronda is often thought of as the birthplace of bullfighting. Ronda’s bridge bisects Ronda into new town (mercadillo, ‘little market’) and old (La Ciudad). The bridge was first proposed by King Felipe V in 1735, to improve an earlier 16th century bridge, the Puente Viejo, below the Puente Nuevo and, below that, the 12th century Moorish bridge by the Baños de los Arabes (Arab baths). Parts of the span column interiors were used as a prison and, later, as a bar, but are now a museum about the prisoners and bridge. Both sides of the Spanish Civil War used the prison as a torture chamber for opposition captives. Old folk stories say that the captives were sometimes dispatched from the balconied windows to the rocks below. After soaking in Ronda’s beauty and museums we found it was lunch time, and we were ravenous from walking around. We were spoilt for choice with traditional cafes and even a McDonalds around! 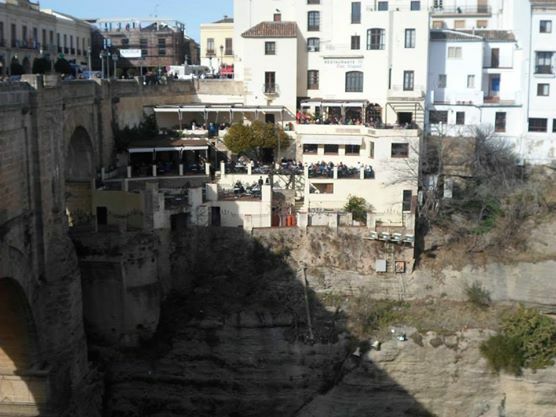 We ended up at the Don Miguel Hotel which had a stunning view overlooking the gorge. We had a selection of tapas including russian salad, a platter of montaditos (rolls of bread similar to a baguette but wider and with a twist.) with chorizo, cheese and jamon serrano… and a cheeseburger! 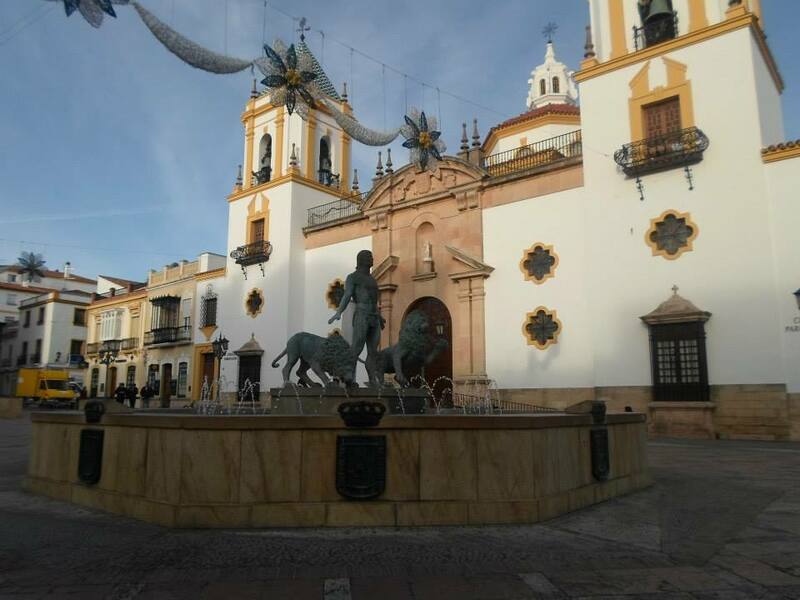 We also walked around the Plaza Duqesa de Parcent which is Ronda’s most picturesque square and one that is brimming with monuments. We thought the Santa Maria del Mayor church was the highlight, as the church took over 200 years to build and is a mixture of gothic and Renaissance styles. Ronda’s charm, cobble streets and fresh air made it the perfect town for a day trip.